Homeowners are almost guaranteed to run into obstacles when building a garage, whether it is for the first time or if you are a highly skilled contractor. When deciding on the style and size of the garage you are building, it is important to make sure that it is customized to fit your home. Some common mistakes that may occur during the construction include inexperience, improper permits, zoning issues, the height of the structure, and failure to check for a flood zone. 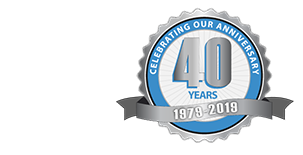 It is important to work with professionals such as the experts at Blue Sky Builders when constructing a garage to ensure that everything will go as planned. Your creative ideas for design can be discussed with someone that can tailor the garage to your needs but also follow proper building regulations. Before the actual process of constructing your garage, you should consider what size you want it to be. 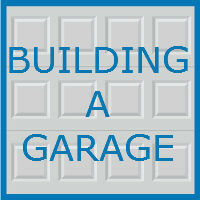 The size of your garage is one of the most important aspects of the planning process. You should consider how large your vehicle is, if you are going to need extra storage room and how much, the walking space, and how much land you have available to build on. A building permit is required for any addition or structural modification to your existing living space, so it is essential for you or your contractor to obtain one before building your garage. This is beneficial to keep in mind for a number of reasons. Zoning helps establish order and define the legally permitted uses for a specific property or area. Rules and guidelines on what you can add or subtract from your home are different for each area and zone designation. Flood zones are determined by the the Federal Emergency Management Agency. These zones are considered areas which have been studied by the government to determine the probability of flooding due to storms, or along the coast, severe tidal conditions. Make sure to check if your property is located in a flood zone, and if so, find out what steps you need to take to build your garage. If you are thinking about building a garage and need guidance when doing so, reach out and call the specialized team of garage experts at Blue Sky Builders for assistance. Call 630-852-8485 or visit Blue Sky Builders online today to discover more about the variety of services we offer.